Pakistan’s former captain Shahid Afridi has now stated he did not intend to question Sachin Tendulkar’s greatness and was only talking about one incident. “I am not denying what I have said. I have seen that Tendulkar was not at all comfortable against Shoaib in Kolkata Test in 1999. It was Shoaib’s first tour of India and he bowled out Sachin without giving him a chance to open his account. He also claimed (Rahul) Dravid’s wicket in both the innings,” Afridi told ‘PTI-Bhasha’ from Karachi. “Shoaib was in full form on that tour and had tremendous speed. He terrorised almost all the batsmen in the world at that time. I have seen Sachin trembling as I was fielding at square leg. I am still saying that. “But this was only one incident. He never spared Shoaib after that. We all have seen what happened in 2003 World Cup,” he added. Afridi went on to state that the Indian batsman does not need his certificate. “Sachin is one of the best batsmen and the whole world knows this. He does not need mine or anybody else’s certificate. His records speak for him,” Afridi said. The controversy-prone former captain yesterday backed his Akhtar’s claim that Tendulkar was uncomfortable against his pace, saying that he had once witnessed the Indian batsman “trembling” while facing the pacer. Afridi, who retired after revolting against his own board and has a history of making controversial remarks, said Tendulkar was uneasy against Akhtar, a claim which the pacer made in his recently-launched autobiography ‘Controversially Yours’. 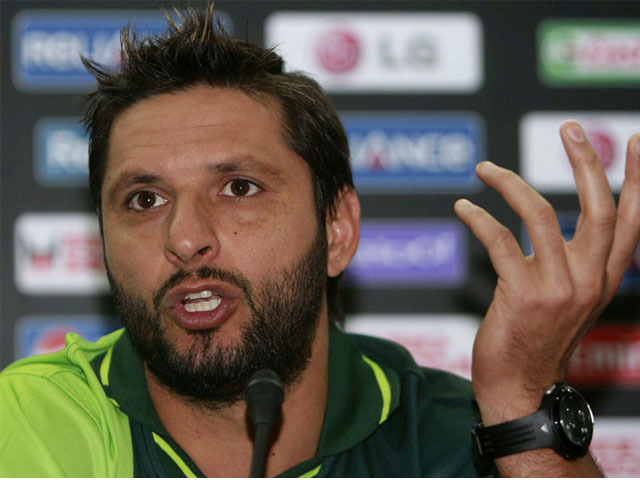 Afridi said his remarks should not be construed as demeaning to Tendulkar. “I am not raising any question on Sachin’s greatness. Everyone knows that how many sixes Sachin has smashed on Shoaib’s bowling after that. But sometimes it happens. I got out on a duck against a weak opponent like Zimbabwe in Peshawar when I was at the peak of my career,” he said. “Any batsman can go through this on a good wicket and opposite a good bowler. That was Shoaib’s day and Sachin was nervous that day.